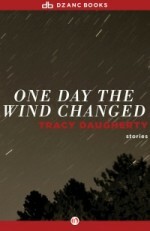 The sixteen stories in Tracy Daugherty’s fourth collection of short fiction explore American deserts-real geographical spaces as well as metaphorical areas of emptiness and possibility. The stories are mostly set in the desert Southwest, though the concluding long story, which features a Texas exile, is set in New York City. Several of the stories overtly deal with stars and astronomers; many feature architecture and the built environment; most all describe the star-studded skies of the West. 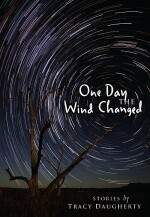 Daugherty’s characters struggle with asthma, night fears, inertia, and the sense of being isolated in a world full of people.